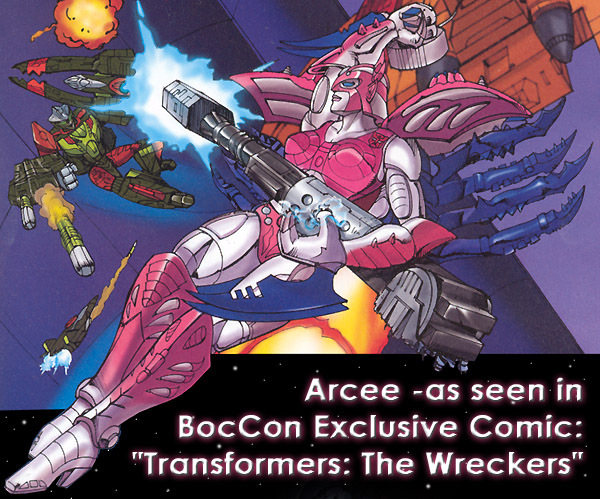 Played by Susan Blu (who later became a director of voice talent for Beast Wars) Arcee's first appearance was as the lone female character in Transformers the Movie! 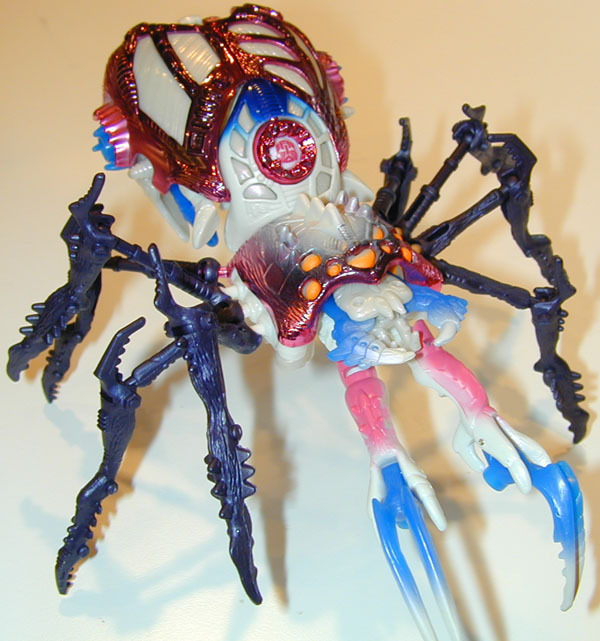 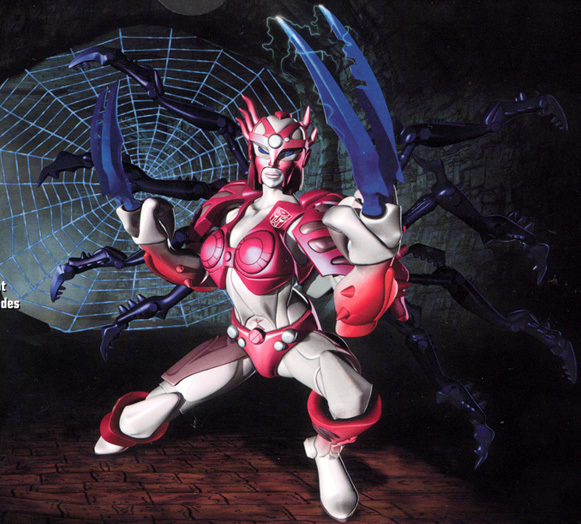 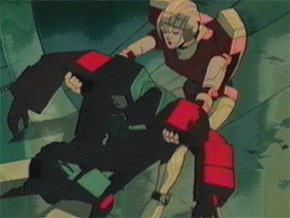 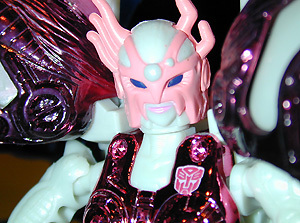 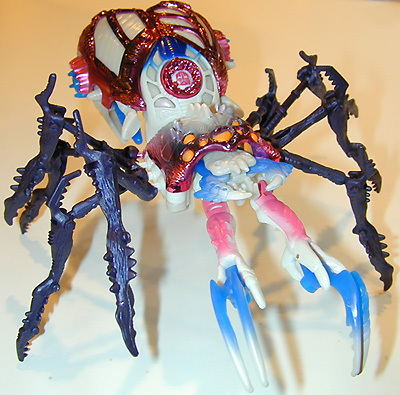 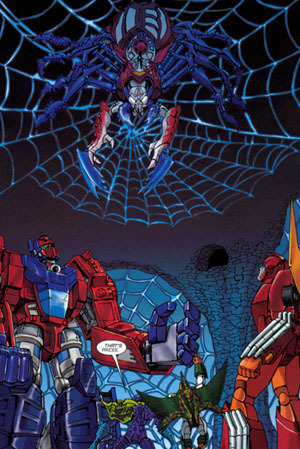 Arcee also played a very prominent role in Transformers third & forth seasons. 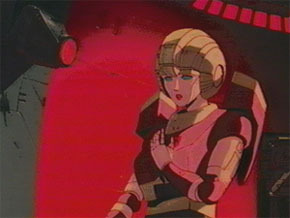 She even become a headmaster in the "Rebirth" episodes which were the final "G1" Transformers cartoons ever made. 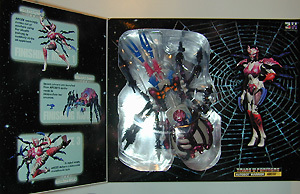 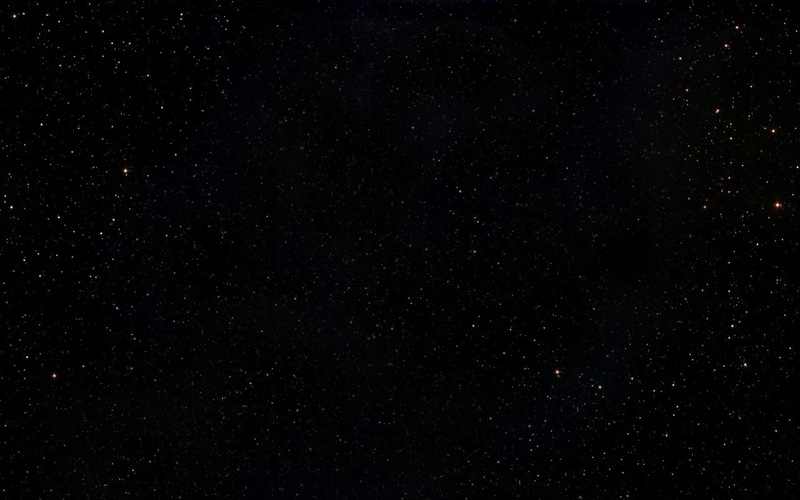 To our dismay, they never made a figure of the character! 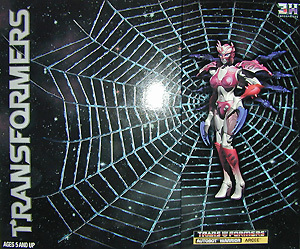 best package art we have ever seen!